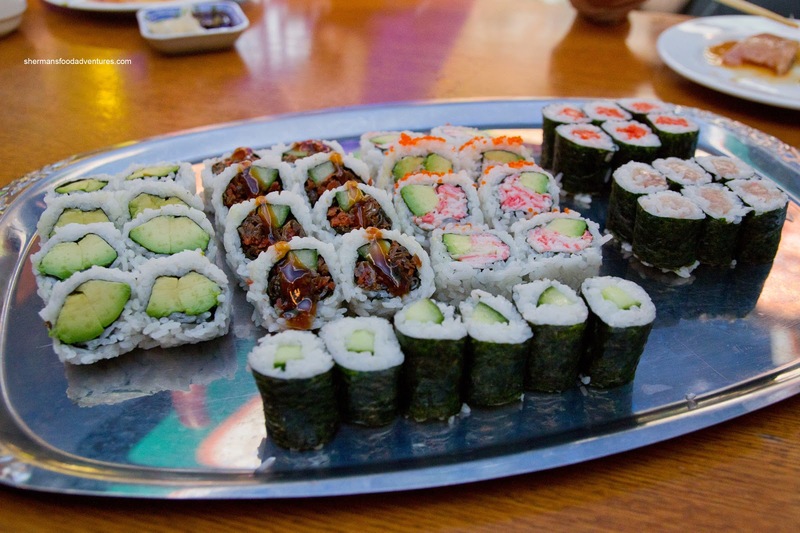 Sounding more like a default restaurant at the 18th hole of a golf course, Clubhouse Sushi is nothing but. 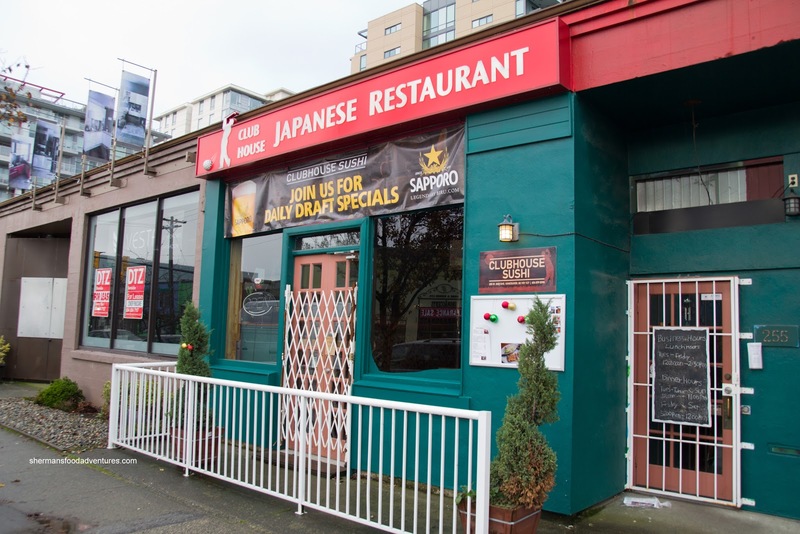 Located on the evolving 4th Avenue, one would be hard-pressed to believe it serves up good Japanese cuisine. I've been here in the past and was quite satisfied with my meal. 3 years later, it fit the bill of late night eats after Friday night hockey. And honestly, there are not a lot of Japanese restaurants that open late other than some Izakayas, The Eatery and SD Gallery on Main. And much like The Eatery, the Clubhouse is dark inside and not really resembling somewhere one would find any sushi, let alone good sushi. Joining me on my late night sushi quest was Milhouse, Lionel Hutz and Emilicious. Yes, a small, but formidable eating posee. 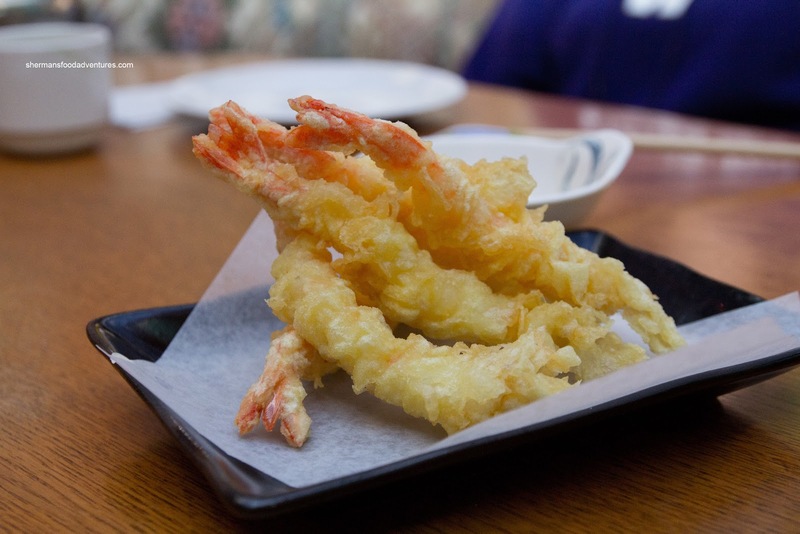 We started with an order of the 5 Prawn Tempura. Despite the appearance of too much batter, the tempura was light, not greasy and crisp. The prawns were meaty and had a nice snap with a natural sweetness. Next up was the Tuna Steak Ponzu. Similar to tuna tataki, the thick-sliced rare tuna had an appealing texture which was not mushy. The ponzu had a nice zing which brought the dish to life. The lettuce underneath was not merely a filler, it provided some crunch as well. Onto another appie, we had the Gyoza which were fluffy despite not looking the part. That was because there was a good sear on the bottom that provided a nice crunch to contrast the rest of the dumpling. The filling had a good mix of moist pork and cabbage while the dipping sauce was well-balanced. Moving onto the sushi, we got the Clubhouse Plate which consisted of Avocado Roll, Teriyaki Beef Roll, California Roll, Salmon Maki, Tekka Maki and Kappa Maki. Although the rice was a bit too warm and soft, it was solid nonetheless. 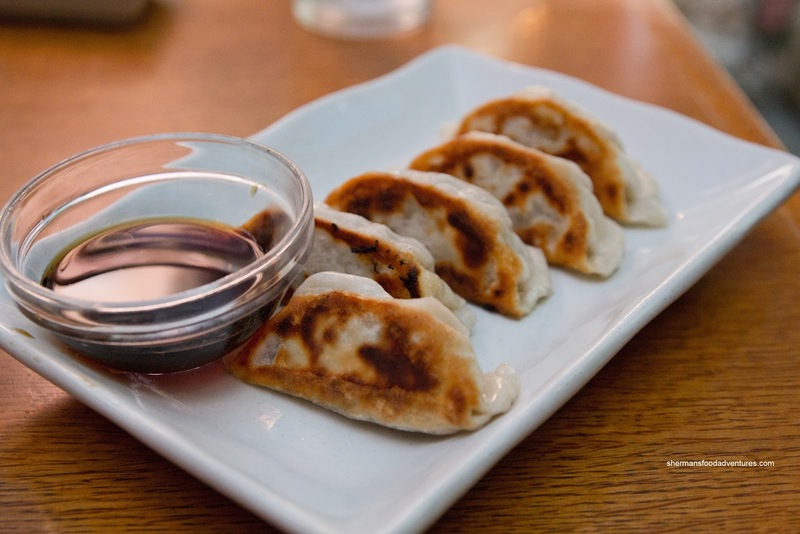 It had a good balance of rice wine vinegar and sugar while maintaining a level of chewiness. The rolls were neatly constructed and plated. We liked how there was more filling than rice, which made the rolls easy to eat as well as more substantial in terms of taste and texture. Furthermore, the avocado they used was really good. The pieces were large, ripe and smooth. 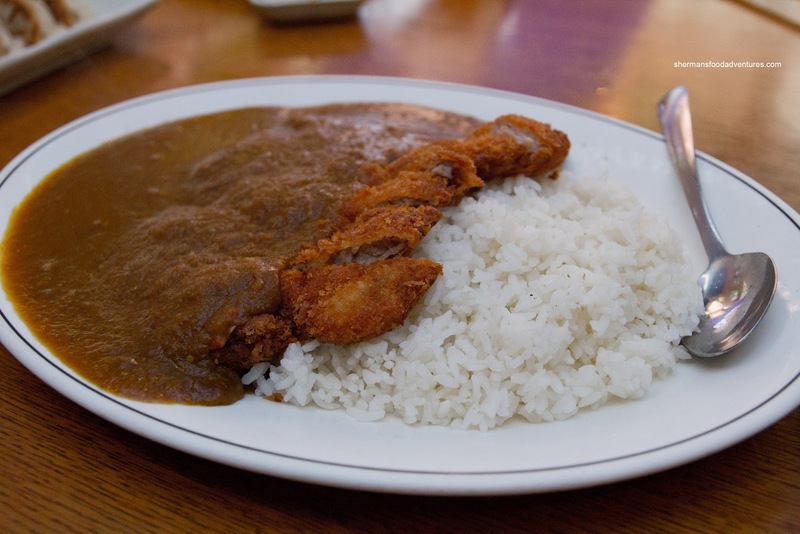 For some variety, we had the Chicken Katsu Curry which was also decent, but tasted more like real curry rather than Japanese curry. The rice was the near-perfect texture where it was chewy, not gummy, yet moist at the same time. Despite having more curry flavour than sweetness, I personally don't mind it. I'm not a huge fan of the syrupy glob that you'd find at places such as Fujiya). The large piece of chicken katsu was super crispy on the outside, yet juicy on the inside. Lastly, we couldn't have a meal here without ordering the Okonomiyaki. We went for the small seafood and it was a good choice as it was more than enough considering how much food we had already ordered. Buoyed by cabbage underneath (so it wouldn't burn), the pancake was substantial and filling. 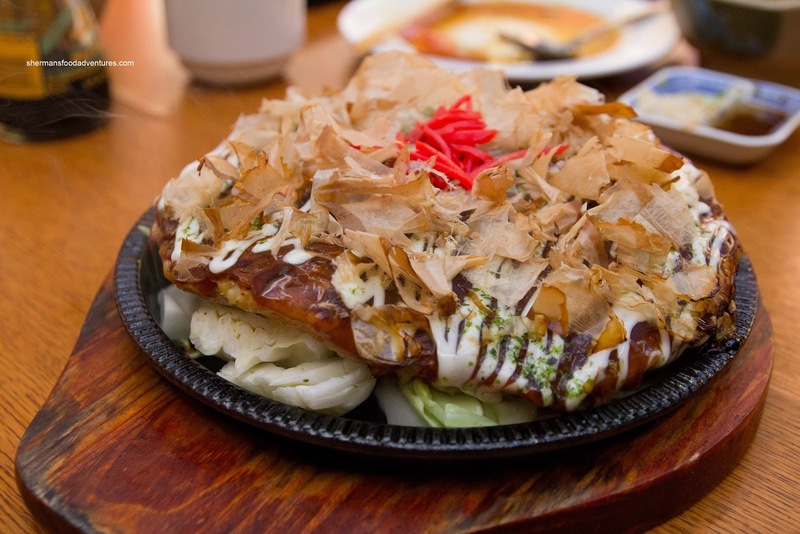 With a good amount of seafood, just the right amount of sauce, mayo and bonito flakes. It was a little on the dense side, but good nonetheless - exactly how I remembered it. And yes, Clubhouse delivered once again. Not bad for late night eats. We're no strangers to Clubhouse, but notice it's getting busier these days with the Olympic Village becoming a more lived-in community. 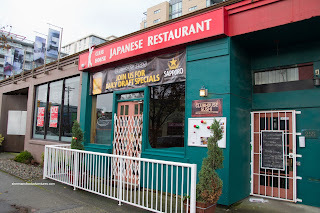 Their tonkatsu is very good, one of my faves in fact. Their curry sauce is good too, and don't taste Gliko-y, but can be a bit too salty for my palate. @LR Yes, the place is solid indeed. Wish I lived closer.